Bates, Amy June. Good. 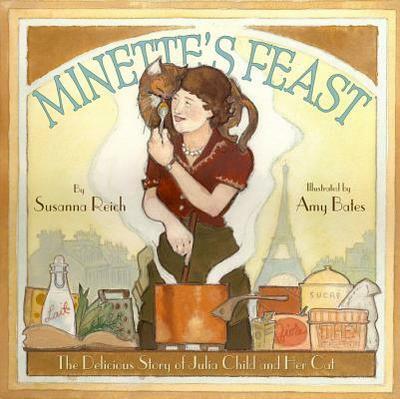 While Julia is in the kitchen learning to cook up elaborate, delicious dishes, the only feast Minette is truly interested in is that of fresh mouse. Includes biographical information about Julia Child. Sewn binding. Cloth over boards. With dust jacket. 40 p. Contains: Illustrations. Intended for a juvenile audience. Very good. Ships Within 24 Hours M-F-Satisfaction Guaranteed! Has a publisher overstock mark. Item shows minor use. Cover and Binding have minimal wear / creases, and the pages are in good shape.